Benno De Goeij and Piet Bervoets started working together back in 1996 as the duo Pedro & Benno but it wasn’t until 1998 they took the name Rank 1. They also released some tracks under the names Precious People, Gualagara, A.I.D.A., Simplistic Mind, Two Disciples and R.O.O.S. Their big breakthough as Rank 1 came in 1999 after the release of the single Airwave which even got high rankings in a few charts all over the globe, for instance #10 on the UK Singles chart and #25 in the US Billboard Hot Dance Club Play. The single became a huge hit and was played by most major djs around the world at the time. It was also remade in 2000 as a mashup with Donna Williams’s track True Love Never Dies which IMHO is the best mashup never released! 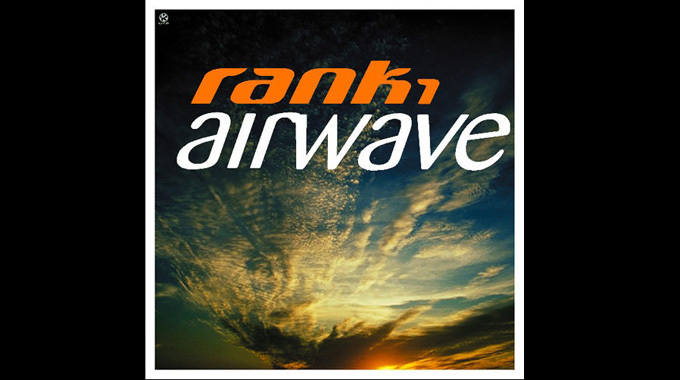 Since the release of Airwave, several huge hits has been released. In 2001, they released Such Is Life with singer Shanokee which also came with a pretty decent Marco V remix. The same year also saw the release of Awakening which came with remixes from Cosmic Gate and a really beautiful Ferry Corsten remix which I still listen to quite often. Their album, Symsonic came out in 2002 with all the major releases so far. It even came out with a DVD. In 2003 they released a new vocal track called It’s Up To You with vocalist Shanokee. It was a remake of the album title track, Symsonic but now with vocals and a bit faster tempo. The 2004 release of Beats At Rank-1.Com became the official Trance Energy theme 2005. The same year also saw the release of the singles Opus 17 / Top Gear . In 2007 they teamed up with Armin Van Buuren for the single This World Is Watching Me with vocalist Kush. Since then, Benno has been a co-producing most of Armin Van Buuren’s productions. On Armin’s 2008 album, Imagine, most songs were written by Benno except for Imagine, Fine Without You and Intricacy. 2007 also saw the release of Life Less Ordinary which was a collaboration between Alex M.O.R.P.H. & Rank1. They also collaborated with Jochen Miller on 2 projects, the 2008 release And Then… and the 2010 release The Great Escape. Since 2008, Benno has been involved with most Jochen Miller-releases as co-producer. 2009 was a big year as 2 of Rank 1’s track became the official anthems. First out was L.E.D There Be Light which was the official Trance Energy theme and later Symfo, which became the official Sunrise Festival theme. I remember seeing Rank 1 playing L.E.D. at Trance Energy that year, major goosebump-moment! Feel free to download JP Bates beautiful mashup of Rank 1 – L.E.D. And Roger Shah’s Back To You which you can download for free here. 2010 saw the release of 100, which was a collaboration between Nic Chagall, Wippenberg & Rank 1. The title is named after being the 100th track released on the dutch label, High Contrast Recordings.